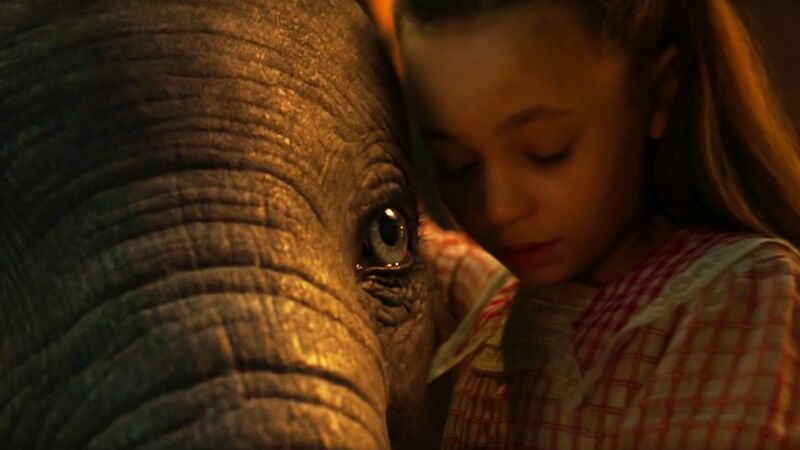 If you’ve already seen the trailer for Dumbo (2019) – directed by Tim Burton, and starring Colin Farrell, Eva Green, Danny DeVito, and Michael Keaton – then you might be asking yourself: really? And it would be a fair question. Is anyone, having watched the trailer, really excited to see this unnecessary and unappealing remake? Does anyone truly believe that this incarnation of Helen Aberson’s classic story will be an improvement on Disney’s 1941 original? And perhaps more importantly, just what on Earth are Disney doing? The answer to that last question is very simple: Disney are trampling all over their legacy as a leading purveyor of animated movies – classic animated movies – in an effort to bring in big box office returns. As a business plan it has its own undeniable merits: give an entirely new generation live action movies based on older, animated movies that Disney have stopped re-releasing on home video via that seven-year cycle that seemed to be the old business plan. Having already gone down the unnecessary and unappealing animated sequel route in the years between 1994 and 2008, Disney have decided that live action versions of their classic (emphasis on the world ‘classic’) animated originals are what’s best for business. And sadly, those live action movies that have already been released have been very successful financially – so why shouldn’t Disney continue milking their very own cash cow? But though we’ve had Cinderella (2015), and The Jungle Book (2016), and Beauty and the Beast (2017), and though they’ve made a ton of money at the box office, can anyone say, hand on heart, that they’re an improvement on the originals? Or that they’re even a match for the quality of those movies? They’re all missing that vital spark that their animated predecessors all seem to have in abundance. But with Dumbo, Disney have gone several steps further than those other live action “events”. This is one of the synopses for Dumbo that’s listed on IMDb: A young elephant, whose oversized ears enable him to fly, helps save a struggling circus. But when the circus plans a new venture, Dumbo and his friends discover dark secrets beneath its shiny veneer. Dark secrets? Is this what Dumbo needs, dark secrets at the heart of its storyline? Does this adaptation have to be a mystery, a thriller with the usual eccentric Tim Burton elements? Will this make Dumbo one of the must-see movies of 2019? (Sadly, it will probably make no difference at all.) The trailer seems to confirm all these things, and that’s without mentioning the strong whiff of The Greatest Showman (2017) about it all as well. Sometimes, and to paraphrase the well known saying, just because Disney can, doesn’t mean that they should.